This church was opened in 1954. It is a repurposed quansite hut (long narrow, metal corrugated building) that was used by the American military while buiding the Alaska highway. It is located on Backe Street in Haines Junction, YT. Cite as: Campbell, Sandy. 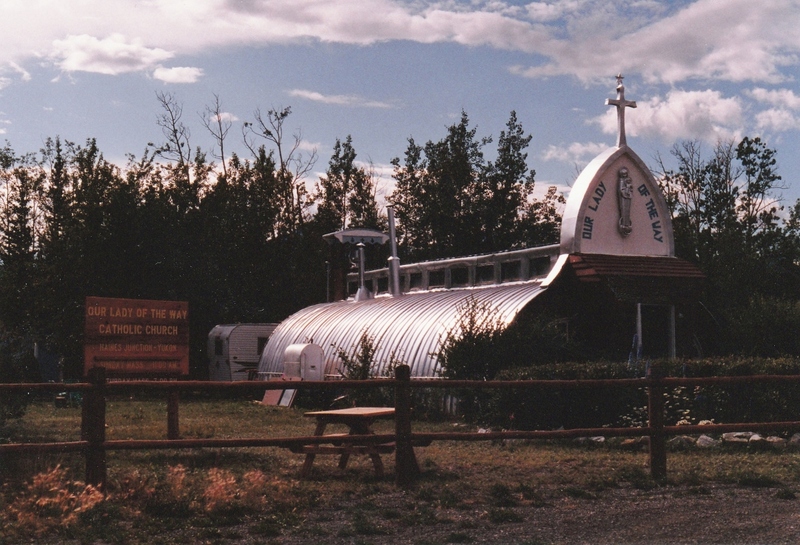 Our Lady of the Way Roman Catholic Church in Haines Junction, Yukon Territory. 2015. Photograph. University of Alberta. Education and Research Archive.